GRAND CANYON VILLAGE, Ariz. – Grand Canyon always tops on many nature-lovers’ to-do lists. No matter what device one may hold to record those amazing moments at Grand Canyon, those photos and videos will always earn rounds of applause. 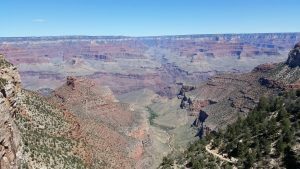 Nevertheless, there are several ideal spots to capture the magnificent landscapes in Grand Canyon that both professional photographers carrying their heavy equipment or ordinary tourists taking out their iPhone to snapshot should stop by, embrace the beauty of nature and take some photos and videos, maybe even a selfie or two. A view from Mather Point on the South Rim of Grand Canyon National Park (Photos and videos by Lingyue Zheng). Mather Point gained its name as “pin-up view’ of the Grand Canyon” for its iconic views of the Grand Canyon. It is also one of many ideal places for sunset because of its location which allows the afternoon sunlight to pour into the canyon and brighten up every layer. Mather point is within two-minute walking distance to Grand Canyon South Rim Visitor Center. When entering the park from the south entrance on U.S. 180. Mather Point is one of the first viewpoints that one may encounter on the trail. From Mather point, one will have a view of Vishnu Temple. A park visitor takes in the view art Yavapai Point. Yavapai Point is an easy walk west from Mather Point. 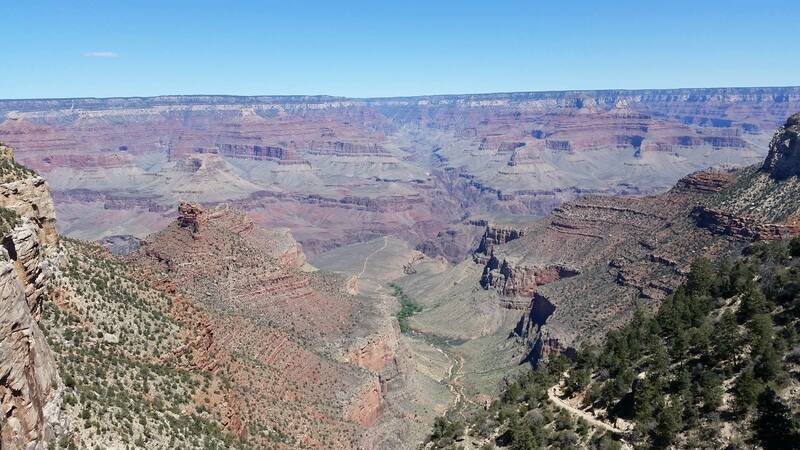 It provides perhaps the best panorama spot on the South Rim because it is the most northerly, and the closest to the Colorado River, allowing for unobstructed views up and down the gorge, including clear views over Bright Angel Canyon. Yavapai is ideal for both taking photos at sunrise and sunset, displaying how changeable the canyon is when basking different shades of sunshine. Click on the video above to see the view from Pima Point. Along the Hermit Road, a visitor will have many opportunities to jump off the shuttle that transports one from Bright Angel Trailhead to Hermits Rest. At different stops, one may delve themselves into viewing a whole new different canyon. It is impossible to single out the best spot along the Hermit Road because every stop offers a unique point of view. Pima Point stands out because it has the single best view of the river. From here you can see both a minor and major rapid in the rim and, when conditions are ideal, you can hear the roar of the water below. Click on the video above to see the Watchtower and the area at Desert View. At the far east end of the South Rim of the canyon is the Desert View Watchtower, a 70-foot tower that overlooks the canyon and the surrounding desert. The tower itself marks an excellent subject for photos and it also provides views for photos of the surrounding area. The tower is easily accessed by the main road from Grand Canyon Village, but it is a 20-mile drive along Arizona Route 64. Over the course of centuries and centuries, the Colorado River has cut its beautiful scar through Arizona. Grand Canyon, the photogenic destination is a magical natural landscape and an inspiration of art. 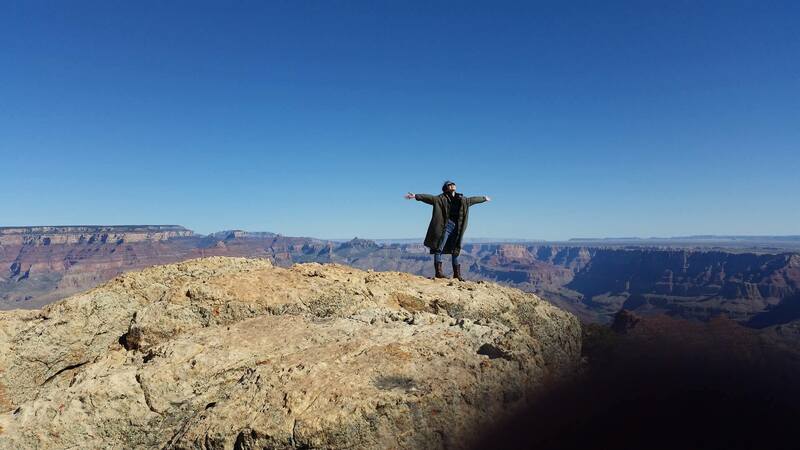 There is no definite answer about the best photographic spot at Grand Canyon. The best one is within one’s heart. When you actually immense yourself into the wild and pristine nature and let the real self slip out, you will find the ideal place suits you best! Best time to visit: expect heavy crowds during spring, summer, and fall months. You will find fewer crowds in the early spring or late fall. The South Rim is open year round, but heavy snows close the road to the North Rim from late October to mid May of each year. What to do at the park: Gazing at the beautiful views of the canyon from the various vista points is the number one activity for many people. People of every age and condition can find activities to suit their desires, including the following: hiking, rafting trips, backpacking, mule trips or horseback rides, camping, scenic air tours. A wide variety of free interpretive programs are offered by NPS rangers. The Grand Canyon Field Institute offers educational tours and classes. Bicycling is allowed on park roads.